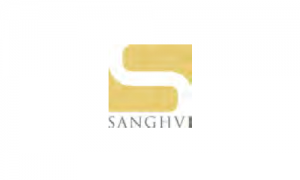 Business description from prospectus – Sanghvi Brands manages & operates one of India’s leading integrated portfolio of Luxury Spa, Beauty, Wellness & Fitness Brands and one of the Top Largest Spa & Wellness Operators in Indiawith license rights to operate various Premium International Brands including: Spa by Clarins, Spa by L’Occitane, Elle Spas & Salons, Warren Tricomi Salon & Spas, Levo, Rosanno Ferretti, TAOS Salon, Ramona Braganza’s 3-2-1 Fitness Programme. The company has sole distributorship of Noveau Lashes for the territory of India to promote, market and sell these products. It has 19 Spa/ Salons across the World which are Operational including training academies and another 9 under development in Spa/ Salons. These include partnerships at some of the Most Luxurious Hotel & Residential Locations including: The Ritz Carlton San Francisco, JW Marriott Mussoorie, Raichak Hotel in Kolkata on the banks of Ganges, Khyber Resort in the Himalayas, Jammu and Kashmir. Additionally, it has partnerships with Leading Real Estate Developer in India which includes: Lodha Developers, IREO, K Raheja Corp.
Sanghvi Brands IPO allotment status is now available on Bigshare Services' website. Click on this link to get allotment status. Kyaa junk company hai yeh? PAT is -ve for 3 of the last 5 years, P/E is 460?!? Are you kidding me? IEX, which was technically one of the most profitable companies with 50% PAT opened in a huge loss for investors despite being at just 40+ P/E and this company goes for 10 times that. All the other insurance giants are losing investors money by opening below listing and none of them is priced more than 70 times P/E despite being multi billion $ giants with worth in several 1000’s of crores of rupees… And this guy with no name, nothing comes in at 460 times P/E!!! What is wrong with our bull market? I would buy this share if it were listed at 2-4 Rupees per share, NOT at 70. Good luck to all the other investors. I sincerely hope and pray none of you get burned.